Here’s an easy to play, free sheet music arrangement of One Fine Day from Madame Butterfly for intermediate students. It’s available in PDF format. Giacomo Puccini (22 December 1858 – 29 November 1924) was an Italian composer whose operas are among the most frequently performed in the standard repertoire. Puccini was “the greatest composer of Italian opera after Verdi”. While his early work was rooted in traditional late-19th century romantic Italian opera, he successfully developed his work in the ‘realistic’ verismo style, of which he became one of the leading exponents. Here’s an easy to play, super funny pirate song for students with a few years of piano study. It’s an original piece by the folks at MakingMusicFun.net. 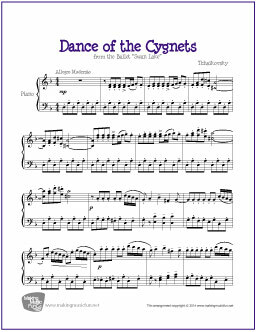 A Pirate I Am is in the key of D minor, and available in PDF format. I’ll hijack a ship and I won’t give a hoot. Then give them a smile and tickle their feet.